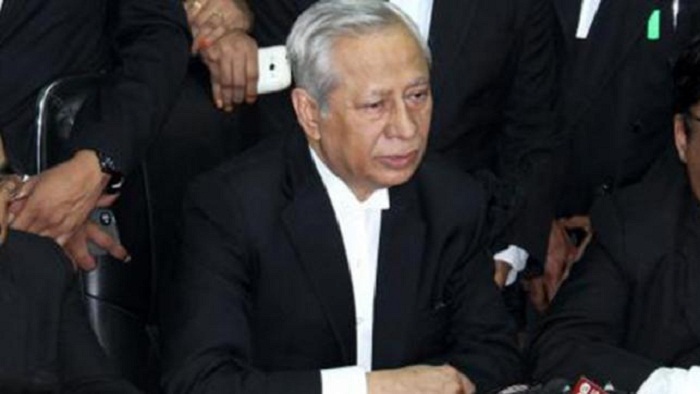 Attorney General Mahbubey Alam on Sunday said the resignation of Chief Justice Surendra Kumar Sinha caused no constitutional void in the country. "His resignation will not leave any effect on the country's judiciary. He had no other option but to resign as no one in the judiciary with corruption charges or moral turpitude shall hold his post," he said. The chief state counsel said these while talking to newsmen at his Supreme Court office, a day after the chief justice sent his resignation letter to the President from abroad, BSS reports. Earlier on October 3, the chief justice went on leave for one month on health ground and later extended the duration of the leave for another 10 days. He later went to Australia. The government on October 2 gave Justice Md Abdul Wahhab Miah, senior most judges at the Appellate Division, responsibility to act as chief justice during the leave of Justice Sinha. The Supreme Court on October 14 issued a notification, saying the judges of the Appellate Division earlier that month decided not to sit at the bench with Chief Justice SK Sinha against the backdrop of a series of graft and other "grave" charges brought to their notice by the President. "At one stage, the honorable President handed to them the evidences of 11 specific allegations against Chief Justice Surendra Kumar Sinha," it said, adding that the allegations included some grave charges like money laundering, financial irregularities, corruption and moral lapses.